● Sign up for the Rock Bottom Golf mailing list in order to receive updates on special discounts and promos. You may also get entered into a drawing for a gift card for being a new subscriber. ● If you spend over $199 on your order, you are eligible to receive free same day shipping to any location in the continental US. International customers receive a $5 discount with purchase of an order over $199. ● Check out the Deal of the Day in order to take advantage of steep discounts on a featured item. ● If you shop Clearance Cave items, you are eligible to receive discounts over 50% off on select items. 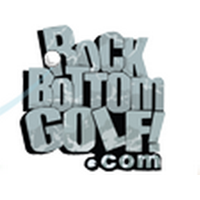 ● Shop frequently at Rock Bottom Golf? Consider registering as a customer in order to enjoy benefits such as points earned with every purchase, exclusive offers, and more. Home to some of the lowest prices on golf equipment found anywhere, Rock Bottom Golf is able to offer incredibly low prices because they do not actively advertise the prices that they provide – skirting around “restrictions” placed upon golf retailers by the OEM manufacturers themselves. Visitors only have to visit the website and then add the items that they'd like into their digital shopping cart to find out just how much they'll save on brand-new clubs and equipment are usually uncovering discounts good for anywhere up to 70% or more off of original prices. Secondhand equipment is also available, and most of the is just as good as brand-new at prices far, far less. For most up to date offers check out Rock Bottom Golf on Facebook and Twitter or contact Rock Bottom Golf Support for any questions.